About | Dreams to Reality ! Welcome and Hello Dear Reader! 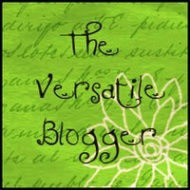 The reason behind creating this Blog is to actually speak out my heart loud and clear and now I find a chance to do so. Here you can read anything which life brings to me. Everything in between life and death which I will feel is worthier enough to touch your heart also. It is all about Mortal to Immortal Life!! Dreams to Reality!! You are welcome 🙂 and do tell me your beautiful name ? Sally 🙂 .. if you were in Pakistan i am sure i would call you Aunty Sally 🙂 as it’s in our culture , every man or women of our parents age is our aunt or uncle even if they are completely strangers. Yes no doubt it will help you and many other including me to understand the reality of life and death. It will lead us to do something for humanity and brotherhood to make our lives more beautiful and peaceful . Please continue it. Thank you so much for your comment and time. Good to see you on my ABOUT page, you know i have been looking the ABOUT pages of many Bloggers since many days and now it feels good that other Bloggers also noticed me, and thanks alot for praising Pakistan , i am proud to be a Pakistani :). w0w… that means we are related some how 😀 .. you were born in indo-pak Karachi , and i raised up there. I lived in Karachi till 2006 and then we moved to Lahore. My childhood, all education and 2.5 years of job was in Karachi , that’s why i take it as my hometown. 😀 i would love to know about your culture and about your experiences in life. Surah/Chapter 008 – Al-Anfâl. Verse 24. “O ye who believe! give your response to Allah and His Messenger, when He calleth you to that which will give you life; and know that Allah cometh in between a man and his HEART, and that it is He to Whom ye shall (all) be gathered”. Your blog is attractive and I have best wishes for your blog. Congratulations to you on getting 10 total likes on your blog! May Allah bless you! I really don’t know how to write. I just write what comes in my life and what i experienced from other lives. Everything between life and death is indeed a broad topic , but this is what i know only … i m living and i will die one day … my dreams comes true , faded , turns into night mare , or remain fantasy. Also , i want to thanks you , to praise and like my Blog and the way i write. May Allah bless you Brother. Thank You so much Claudia , Its my pleasure , you are always welcome. Thank you so much Kathryn. Very kind welcome from you . I really appreciate. You have wonderful blog. Many blessings to you as you write from your heart. Hello Dear Afsheen. You have such a beautiful heart. Maybe that is why it is so easy for you to follow it. I often spend too much time in my head. I am happy to have met you through WordPress, and thank you for visiting my blog. You are very insightful and thoughtful in your comments on my About page. I look forward to reading your blog. Welcome to my Blog Olivia. Living in head is mostly hard. It tells us many directions one after another. Head should be used but should not remain dominant on heart. This is my opinion. But off course, this is the nature of our soul, we live life according to where we live and what we do. Who we are living with and above all the Experiences of life. Anyway 🙂 I will remain in touch with you. I have given the head/heart concept some thought, and what the Bible says about the heart. I am curious if the Quran is similar or different. Maybe a discussion for another day. I would like to stay in touch. Thank you. Quran says to listen and follow your heart first. Wow … This is for the very first time really 🙂 . I am so glad and i appreciate your very very kind act. now i have to look for 15 Bloggers ???? 😛 ok ….i will do it but it will take some time. Pingback: Awards | Dreams to Reality ! Thank you so much Lala Rukh. I hope that you are well and I appreciate that you continue to stop in and take a look at my blog! I am very happy to know you. I read your about me page and I know you are very friendly. Thank you for visiting my blog sabethville. I am a Bengali Muslim from Bangladesh. I am very pleased to meet you. I hope to visit your blog often. Wsalam .. Glad to meet you Samia. I love your blog. I have been here before (trying out a blog with a pseudonym), and I really do appreciate how you follow your heart. It brings truth to your writing. Beautiful. Thank you so much for your visit,time and liking. I really appreciate this. Now , i must see your Blog .. Your place and Your heart .. Thank you so much Jaya. Hug. I look forward to getting to know you better. nice blog you have…!and very nice posts..! keep it up…!Hope you like mine and follow..! I read you live at Lahore…!Zinda dilany Lahore..! Love to live at Lahore…!Specially Mazang Prathas…hmmmmmm….! Thank you for the likes! I adore your blog. It is beautiful. I will follow it carefully. Someday, I will visit Pakistan, but for now, money is a concern. Thanks again! Look forward to reading more! Its good to hear a Salam from you. And glad to know that you like my Blog. Yes , do visit Pakistan whenever possible. We have so many beautiful places and activities to do. You will find peace and love here. Yes, I’ve heard that it is very pretty. When I can I will get there. My sister and I plan to travel the world as soon as money allows. Thank you Afsheen for liking my blog. Thanks a lot.I would love to accept this kindness,appreciation and love from you. Hi, come over to share a pizza recipe you requested. Enjoy! Hi Afsheen, thanks for stopping by. Hi! I am very pleased to have met you! I can already tell you’re a smart and kind person, I’m so happy you stopped by my blog! I look forward to reading more wonderful posts from you! Afsheen thank you for visiting my blog. Glad you did that so I could discover yours too. And now you’re a follower richer ’cause I love your way of writing so I can’t wait to read some more. Have a beautiful and blessed week. Thanks for visiting the JoyfulParentingWEC.wordpress.com blog! What a lovely message about following your heart. Best, Christine. Thank you so much Christine .. I am very sorry for this late reply. 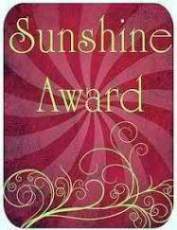 Hi Afsheen, I’ve nominated you for the Sunshine award! It’s my way of showing you that your creative work is for me a pleasure to read! You’re welcome Afsheen! Take you’re time and like I said before, it’s the little gesture that counts! 😉 Have a blessed and wonderful evening! Hey Afsheen, I know its been a while, i was away on hiatus due to my exams. But hopefully now I’m back for good. How have you been? I hope you are doing great. 🙂 Aww same situation with me … i am busy in school and home, but i hope it will only take few more days when i will be free again. By the way , how was your exams ? i hope you will achieve a good result. My exams went good. I’m officially on to the second year. such a lovely introduction that touches deep in heart. may Allah keep u safe, healthy and shining. Thank you so much Prosona. You see beauty every where as you are beautiful yourself. Thank you so much for visiting my blog. Your kind and gentle spirit has truly moved me. I am so happy that you find out some beauty in me 🙂 which I believe is in eyes of a viewer, how one perceive someone/ something. This poem is really very beautiful and shows the power of love , the only thing which I feel is always act as a magic and a strength behind me to live and live happily for myself and others. Greetings! 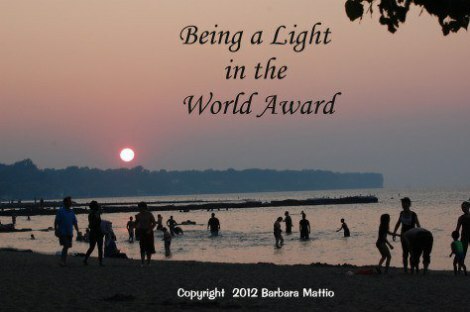 I’ve nominated you for the “Light of the World Award”! Congratulations!! off course we can share information with each other ..
🙂 inshaAllah … you are most welcome.. Thank you so much for the blog follow. It has led me to your blog, which I am now following. My favorite thing about blogging is meeting wonderful people from all over the world. 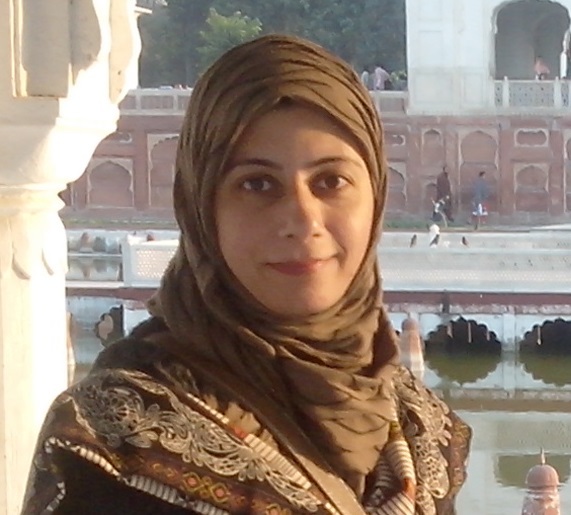 I don’t know much about Pakistan, so I am looking forward to learning more about your country and culture through your blog. May Allah send you many blessings. Well Nancy i am glad that we met 🙂 .. I love to share views and thoughts, and i will surely let you know so much about Pakistan InshaAllah. Hey, thanks for taking the time to give my stuff a read! Thought I’d return the favor. I love the layout and color scheme of your blog–you must have spent a lot of time getting it just right! This is what I did here, just enjoy being here and love what I do. About this theme , yes its colorful and lively and it is easy to get. I couldn’t agree more! Passion is everything. One who listens to the heart is near to our Allaha as our heart is more to Him. MIND has many drawbacks. And all should believe for their own good. I shall for enhancing my knowhow. interesting blog and rich content…. We all need to follow our heart and it will provide all the beauty within and guide us. Thanks for finding me and I look forward to following you. 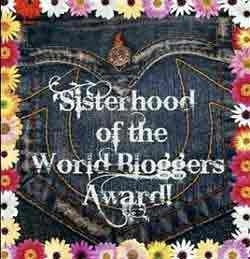 Thank you Becki for stopping by and following my Blog. You are a very strong lady and i am glad to have you here. I will be around you so that i can learn more about you and may learn from your life experiences. Thank you. I am glad to have found you. Pleasure is all mine Becki. I love your blog! and it is so pretty! I wish I can make mine this amazing! I am very glad that you liked it, actually loved it, i am honored and encouraged. All you can do to make it pretty is put your feelings in it and it will become alive and beautiful. I’m glad I did … you are very welcome!! 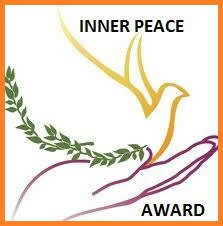 Hugs … and peace!!! Thank you!! Dear one …. You are too kind. Thank you for the blessings. 🙂 Thank you so much , Visit again Charu. glad I was able to visit and get to know you and your blog ..
hi, 🙂 I nominated you for Liebster. http://seikaiha.wordpress.com/2014/04/22/my-response-to-a-liebster-award/ I know you have way more recognition already, but I wanted to include you. I hope you like it. I am very glad to be awarded with your love and kindness. I will write about it soon and thank you so much again. I always need friends support and love. Thank you so much for stopping by my dream world. I look forward to browsing around your blog. I did notice Nusrat Fetah Ali Khan on your music page. I LOVE his music as well and had a wonderful opportunity to see him perform some years ago….. there was a traditional marriage celebration involved and it all seems like a dream to me now. You are so lucky that you had this wonderful experience. I love his music but was unable to see him live. Afsheen, Allah be with you as well. I am honored that someone such as you found the time to read and like one of my posts. Even though we are very far apart geographically, we are extremely close thanks to the power of the Internet. I love to read and write. I am badly in love to explore new things and cultures, even interested to know about other religions and concept. I believe in respect and peace to all thoughts, no one is perfect , we all have bad’s and good’s, and we must listen to each other and help each other in realizing what is good and bad. May Allah bless you and loved ones. 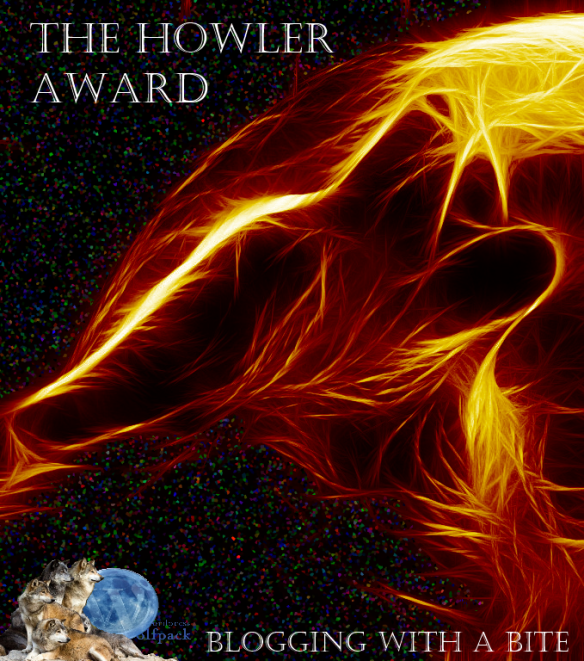 I have nominated your blog for the Howler Award. How are you dear friend 🙂 you blessed me with so much awards, this shows your love and kindness. I am honored. Please let me know, should I pass this award onwards by myself or I should contact any member of wolfpack ? 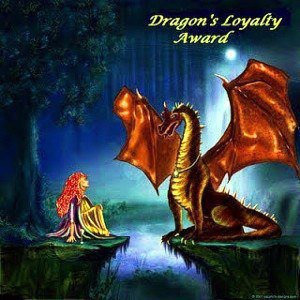 The award says: “non members can hand out the award after they have gotten it themselves or they can suggest the person they want to nominate to one of the wolfpack members.” So, you can do either of the two , whichever you think is best. Are you the member and what exactly wolf pack do ? Pleased to meet you, I shall follow you as well. Hello! You have such a lovely name and spirit. 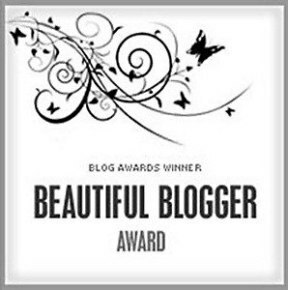 Thank you for stopping by my blog so I get the chance to see yours! I’m glad I did because your blog is wonderful. It’s great to meet you. Deirdre pleasure is all mine. I am not a Wolfpack member, but got the award from a member. Thank you for the details Petrel , you are always very helpful. Thank you so very much for liking one of my posts. Afsheen, although we are of different faiths I must ask both you and Allah for help. A dear friend and former Board President of my church has been hospitalized with what may be cancer. I have posted to this effect on my blog already. Your prayers would be much appreciated . About my church, we are Unity on the Eastern Shore (referring to the Eastern Shore of Mobile Bay here in Alabama, USA). Unity is a new thought religious organization that is highly spiritual and metaphysical. Whether or not that has any similarity to your faith is not important. We do believe in the thought that “We (meaning everyone) are One”. Blessings to you. I read your message and I feel good that you feel us one, and your thoughts are peaceful. I am sorry for your friend, I do believe that we are here with counted days and breaths. We cannot live more or less than this. It is our faith, but I also believe in Prayers. Prayers can change faith, Yes it can. I am praying to Allah for your friend’s health. May Allah bless him with health and bless him long life ameen. Thank you, my friend. I must apologize for not mentioning the person in question is a she and her name is Kay. Please continue your prayers. I will , May Allah bless Kay. Have faith in ONE. Such a beautiful, natural picture. Thank you so much for replying and introducing yourself in detail. and Thank you so much for letting me call you Uncle Spike 🙂 Finally I found a Uncle on blog sphere. In Pakistan, we cannot take names of older person’s, we call them uncle or aunty, but not with name, but in western culture it is not the same, my older friends also want me to take their names, or pet names. Which is a lil awkward situation for me, I do not know if I met them in actual, will I take their names or will call them aunty or uncle 😀 ?? Here in Turkey we use Aunty and Uncle for many of our elders, but their first name is also always used, even in formal situations. So a guy called Ahmet would be called Ahmet Amca, which means Uncle Ahmet, or more formally, Ahmet Bey, which means Mr Ahmet. The family name is rarely use at all. 🙂 This is the same case in Pakistan. We also use name with uncle and aunty. Really?? Thank you so very much Aunty Angeline. Pleasure is all mine. Feeling Allah’s blessings. Thank you, Afsheen. thanks for stopping by and deciding to follow my blog. I enjoyed looking through your site. I see that you like to make various crafts just like my daughter does. She made several purses using covers from hard back books and ribbons. Best Wishes! Good to see your reply, pleasure is all mine.I love to make purses also, I have made three will upload the pictures. Wa’alaikumi salaam. It has been my pleasure to stumble upon your blog. I wish you, your wife, and other loved ones more peace in life. Continue to write with passion and kindness. (: May Allah bless you too. 🙂 Thank you so much , but just a lil correction I am lady. Thank you so much for the tip will do that. Thank you so much my friend, I am glad. Hello Afsheen. Outstanding blog and I heard that Lahore is a very beautiful city with friendly people. Hello glad to know that you are aware of Lahore city.well it is a very colorful city and full of fun. Loved your blog. You can connect to it. Loved the way you write. I hope to read from you. You have another follower now. Thank you so much for following and liking my writing. Aoa!! i like your blog alot.btw I am also from Pakistan and currently live in Lahore.nice to find you. here is a link to my blog if you want to stop by.. Thank you for visiting my blog, auntie. It’s always sheer pleasure for me to see my compatriots here. 🙂 Lahore is my abode too. I like very much how you are writing. You seem like a lovely person ♥ Best wishes from Germany! Greetings from Paint The World With Words! I’m Amreen Shaikh and I blog on the above name. Thank you following my blog! I must say, you have an amazing blog and great content! Good Work! I wished to contact you, but did not see an email ID! Can you please drop in your email ID on painttheworldwithwords@gmail.com? Sorry for this very late reply , I was really busy in settling down to Karachi. and you can also join my FB page.